Both hypopigmentation and hyperpigmentation in sites of previous cutaneous lesions have been detected in patients with LE. 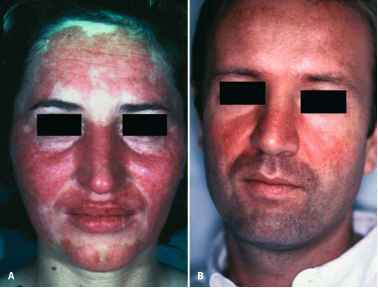 On rare occasions, depigmentation and postinflammatory hyperpigmentation may be extensive. In the author's experience, cosmetically objectionable pigmentary changes are more commonly detected in African American patients. Antimalarial therapy can cause altered pigmentation. 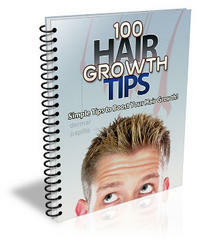 Premature graying of scalp hair, eyelashes, eyebrows, and beard has been detected. Also, diffuse hyperpigmenta-tion or linear horizontal bands of pigmentation can be detected in nails. A blue/black patchy hyperpigmentation has also been noted on the mucous membranes and over the anterior shins. These pigmentary alterations associated with antimalarial therapy disappear with discontinuation of therapy.